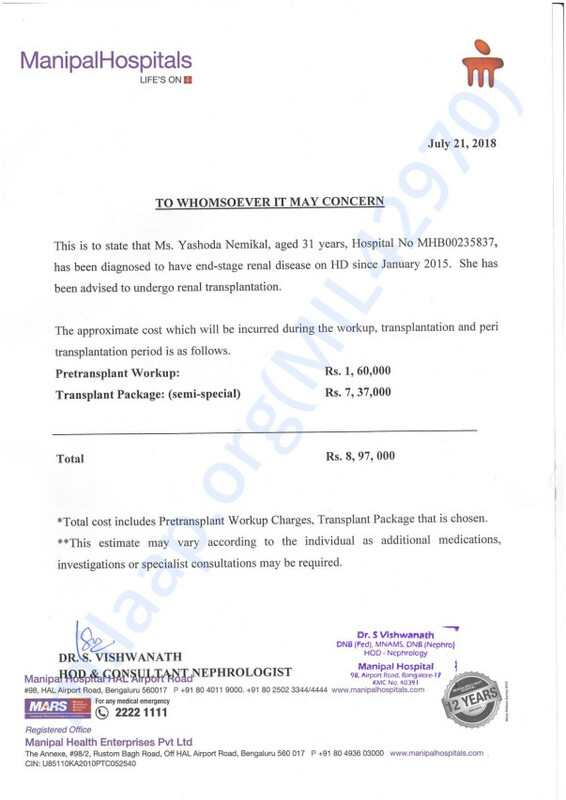 My name is Anitha Nemikal & I am looking to raise fund's for my sister's (Yashoda Nemikal) kidney transplantation. She was diagnosed with Chronic Renal Failure 3 years ago & is on dialysis till date. 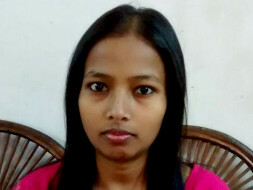 She can be cured by the kidney transplantation & fortunately my mother's kidney has matched her's & she will be the donor. Now we cannot delay any further for the operation as advised by the doctor so we are raising the fund. Since i am the sole earner of my family & there are four dependents on me with my sister's medical expenses. Thank you in advance for the contribution! Your supports means the world to me. They say a friend in need is a friend indeed, and from the bottom of my heart, I would like to Thank each and every one of you for your kind gesture to come out in support of my sister's well being. My family would be forever indebted to the overwhelming support and outpouring of love at this tough period. My sister and mom both underwent a successful surgery and are now recovering at home. It's all now left up to following all the medical precautions and procedures to be able to lead a healthy life again. Once again, Thank You for your prayers and support at the most important period in my family's lives.